Shooting sub-sonic at 1,040 fps., the hammer striking the firing pin makes more noise than the gun does when fired! Looks like fun but is the stamp worth it for a single shot break-open? Is the muzzle break needed? Barrel length is 16 1/2" long! Recoil is fierce! It needs a muzzle brake to keep from dislocating ones shoulder! Ah, yes. The advantage of a break-open action. Another beautiful example of your art mate. That’s an interesting calibre David. 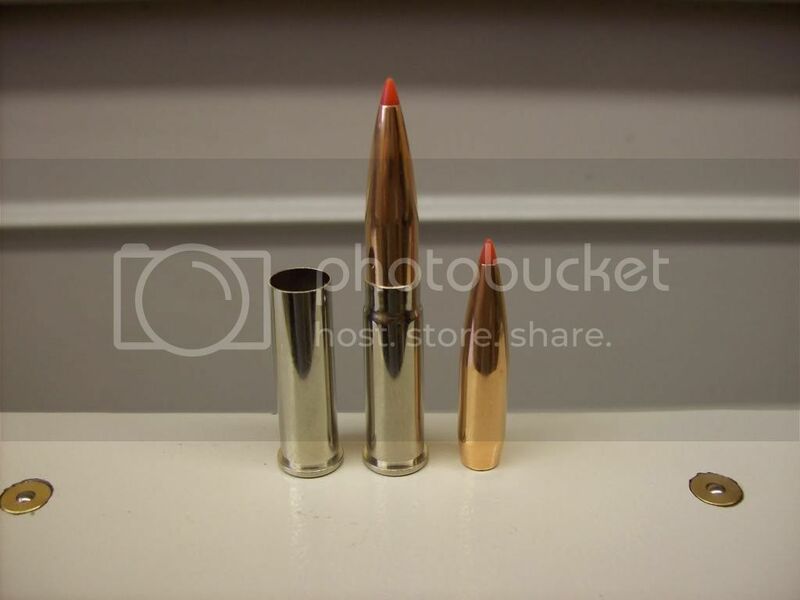 How does the 30.357 compare to the .300 Blackout ballistically? It reminds me of a couple of different rounds I toyed with the idea of getting in my TC Contender back in the day...the 30 Herret and the 357 Herret, both based on the 30.30 cartridge. I think the rimmed case is a better option in a single shot firearm for a couple of reasons, one being headspacing. Slim mentions a “stamp”...is this a legal requirement for some firearms? Vince, I wrongly assumed the short barrel was less than 16". 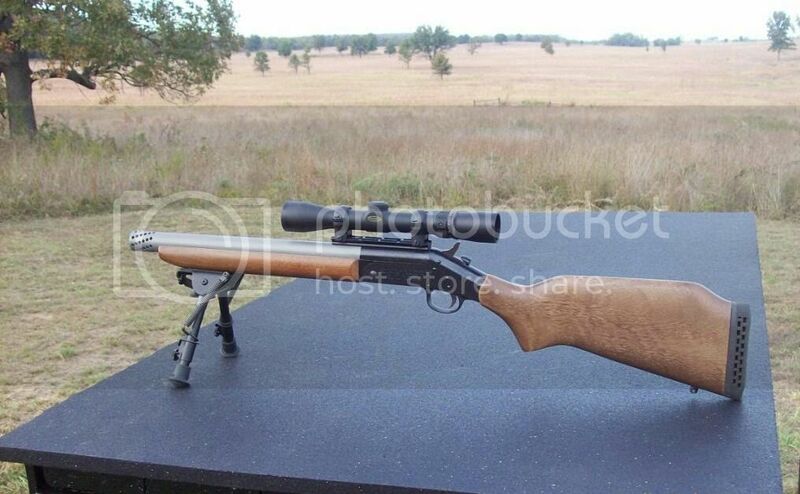 Since its barrel is longer than 16", then a short barrel rifle stamp is not required. 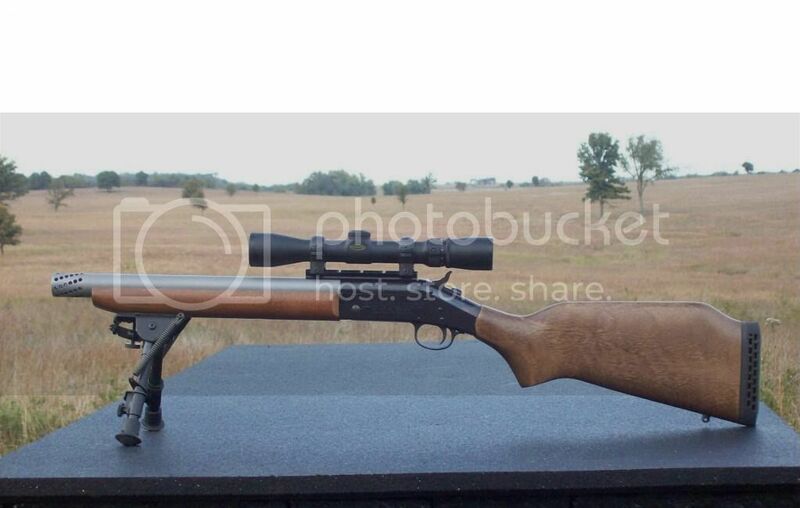 Deer Sniper, is this a caliber of your own making? 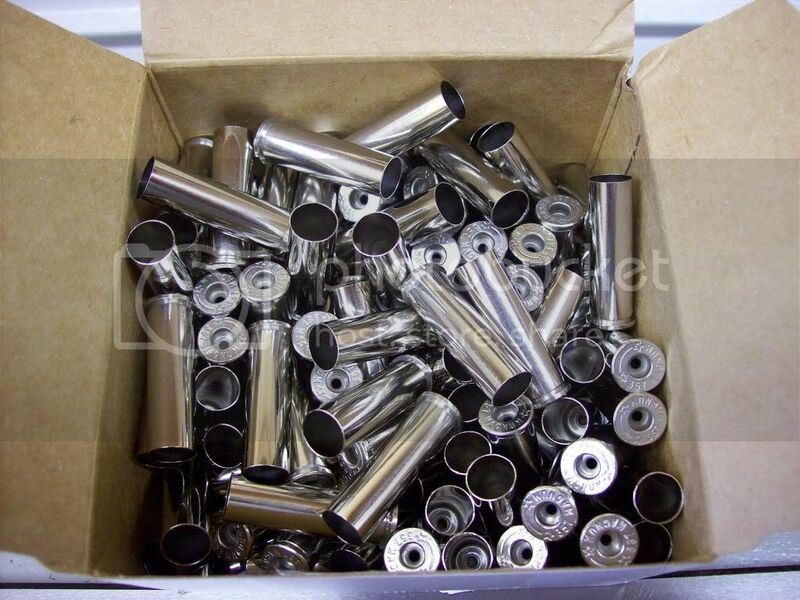 It looks like you have a lot of freebore which would provide significantly more case capacity thus the fierce recoil. 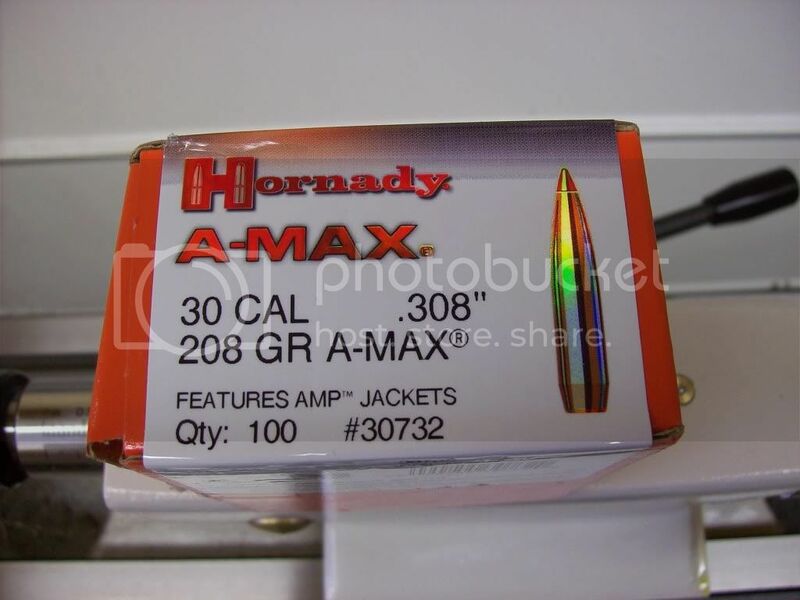 How does the 30.357 compare to the .300 Blackout ballistically? The 300 BO is pretty anemic, Vince. I've gone to basically just using mine to learn how to hunt subsonic. I originally built it to test .308 bullet terminal performance at low velocities. My first barrel was defective and the replacement had 0.100" less freebore which reduced my case capacity enough that I can barely get the .308 hunting bullets fast enough to have enough energy to open up. The 30 Herret has been a real performer in the AR-15 platform. Reloaders are getting 2800 fps with 125 grain bullets from 16" barrels (using 6.8mm SPC brass). Vince, there is still time. hehehehehe thought it must have been tongue in cheek Mate... very interseting wee rifle,pig hunters would love it ,short and easy to carry and that projectile has plenty of wallop.....does it open/deform at all at subsonic speeds??? be intersting to put your round side by side with the old .32/20 which is one Im surprised hasnt made a comeback. I believe its a faze that will fizzle out eventually when fellas come to realise a shot that misses vitals by 1" or less with a subsonic results in wounded animal getting away,they just dont have ANY shock power at all..a shot through jaw/nose missing brain just has animal shake head and walk away dazed where a supersonic would at very least have good chance of knocking it out..Ive gone back to .223 for house muttons after a bad experience. ...Vince, there is still time. Don't have pistols anymore mate, so the Contender is out of the equation. I could look at a TC Pro Hunter with interchangeable barrels in one of the Herret calibres...but they are as dear as poison out here, and in reality, I could not justify another rifle, especially one that would cost me an "arm and a leg" and then some. I built the rifle shown above to keep neighbors from getting upset, and my wife can shoot all she wants without anyone around knowing that she is shooting! Neighbors don't want to see any deer shot either, BUT with the little 30X357, we shoot a couple of deer and no one knows. Quiet is good! I'm using this 195 MKZ from CavityBackBullets.com for my subsonic loads. It opens up down to 700 fps with 3-pedals. Its like a mechanical broadhead for a rifle. I recovered some from a boar this past weekend. I'll try to post a thread after work. I'd like to have a discussion about subsonic terminal performance. Please do start a sub-sonic discussion thread! That is quite impressive for such low velocities! DEER SNIPER one thing to be very very carefull of (and you will probably already know this) with subsonics is they have terrible tendancy to bounce off into distance with whizzing sound (ok I cant spell the rickoshay word)....really made me rethink what was a safe background was.